Sound Transit acknowledged the potentially illegal email release after The Seattle Times raised questions. An ORCA cardholder had contacted the newspaper about an ST3 campaign email he received through an email address he said he only uses for his ORCA account. Sound Transit improperly gave the email addresses of nearly 173,000 ORCA cardholders to the political campaign promoting ST3, the fall ballot measure seeking to expand regional mass transit, a spokesman for the transit agency acknowledged Friday. The distribution of the transit passholders’ email addresses was a mistake made as part of Sound Transit’s response to the Mass Transit Now! campaign’s recent public-disclosure requests for the transit agency’s email subscribers’ lists, Sound Transit spokesman Geoff Patrick said. “It turns out our response to the campaign was more broadly construed than it should have been,” said Patrick. Sound Transit’s acknowledgment of the email release, which may be illegal, came after The Seattle Times raised questions this week. An ORCA cardholder had contacted The Times about an ST3 campaign email he received through an email address he said he uses exclusively with his ORCA account. Unlike other email lists that Sound Transit has, the ORCA account information gets special protection under state law. The personal identifying information of holders of the ORCA regional transit fare cards, which Sound Transit administers for various participating transit agencies, is meant to be protected from unauthorized public disclosure, as detailed in an ORCA privacy statement. Sound Transit’s sharing of the cardholders’ information with the ST3 campaign may also violate two state laws — a legal provision that exempts governments in Washington from disclosing public transit pass holders’ personal identifying information, and another that bars government agencies from using public resources to promote a political campaign. Mass Transit Now received contact information from Sound Transit for about 227,000 individuals, a campaign spokesman said in an email this week. The campaign has said it used the list of addresses to send out one mass email this week promoting the $54 billion light-rail expansion measure voters will consider on the November ballot. “Our consultants know the rules around public disclosure and often ask for publicly disclosable lists when they are useful for outreach purposes,” said James Canning, a spokesman for Mass Transit Now! 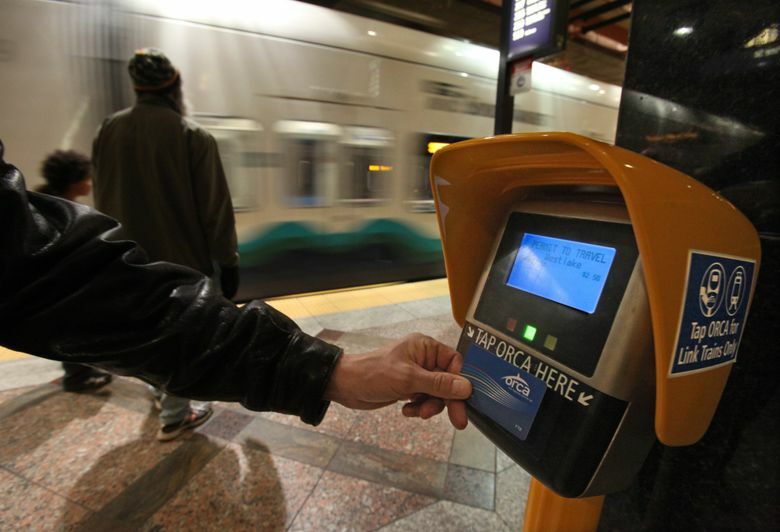 The Seattle Times raised the issue to Sound Transit on Thursday after the ORCA cardholder contacted the newspaper. The Seattle man, who asked not to be identified, said he uses a specific email address as a contact to the ORCA program and didn’t give permission for Sound Transit to share it. On Tuesday, he received an email to that address from Mass Transit Now campaign manager Abigail Doerr. The ORCA cardholder said the campaign email rankled him. Sound Transit has since notified the campaign and asked it to remove all the improperly sent email addresses from its files and to no longer use them, Patrick said. Canning said late Friday the campaign planned to scrap the entire list. “We’ve assured them that we’re not going to use those email addresses,” he said. Sound Transit also planned to send an email Friday evening to all ORCA cardholders who were affected to explain the matter, Patrick said. He said most of the wrongly distributed email addresses were registered to ORCA cardholders as of 2011. The email addresses had been kept in Sound Transit’s GovDelivery system used to issue transit notifications, rider alerts and other updates — a database that also contains contact information for people who have interacted with the agency. Under state law, that information must be publicly disclosed when requested, Patrick said. Sound Transit’s improper sharing of ORCA cardholder information marks the second time in five months that the agency likely violated state law related to the ST3 ballot measure. A public-outreach survey distributed by the agency this year that sought feedback about Sound Transit’s planned expansion used at least one question to gauge why people would be willing to vote for the ballot measure. After the PDC said the poll likely ran afoul of state law that bars public agencies from supporting political campaigns, Sound Transit pulled the question from the survey.